My college major was twentieth century European History and my favorite genre is the historical novel, so I’ve read a lot about World War II. 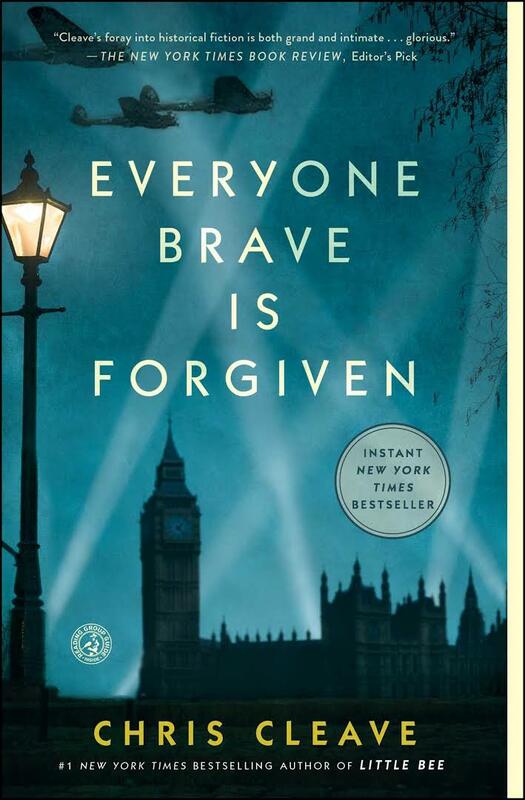 And yet no previous book ever brought to life the Blitz and the siege of Malta as well as this newest novel by Chris Cleave. It’s a story of love, friendship, and the ability to hang on against the backdrop of total war, set in two very different places. Once again, Cleave (author of Little Bee and Gold) has created characters who let us into their world, and the combination of language and details often kept me awake long after I’d regretfully put the book down and turned out the light. Cleave’s use of language is clever without ever being overdone. Similes and metaphors sparkle, doing their work without distracting, but the real linguistic joy of this book is in the witty conversational banter between friends and family and lovers. Love (platonic and otherwise) lies between every line, rarely spelled out but always understood nonetheless. Unfortunately the ending lacked the punch and wit of the rest of the book. There were also a few dropped stitches in the plot toward the end. Maybe I was just too tired to absorb the subtleties (reading later than I should have, of course, hungry to finish). Or maybe the rest of the book had just set too high a standard for any ending to be truly satisfying. “When I was beginning the project I might have said that by writing a small and personal story about the Second World War, I hoped to highlight the insincerity of the wars we fight now—to which the commitment of most of us is impersonal, and which finish not with victory or defeat but with a calendar draw-down date and a presumption that we shall never be reconciled with the enemy. I wanted the reader to come away wondering whether forgiveness is possible at a national level or whether it is only achieveable between courageous individuals. Your local bookseller probably has this book on the shelves, since Cleave’s previous book Little Bee was a bestseller. And for those of you who enjoy a good Olympic love story, I can also recommend his less popular novel, Gold. ← Previous Previous post: Freelancers: Feral or Friendly? I also read this book and was delighted to see a different perspective of that time. An enjoyable read with an intriguing plot as well as different venues during the war. I am interested in reading his other books. Thanks for reminding me about the book and author! We should start a West Ferry book club!